Magnolia Heights School’s primary mission is to prepare students for college. Therefore, the curriculum is challenging and broad, emphasizing a liberal arts education. The school year is divided into four nine-week reporting periods. Classes meet on a traditional seven period per day schedule. All students in grades 7-12 use MacBook Air computers. You may purchase your own MacBook Air or rent one from the school. Junior High Students attend classes in secondary building. Clubs and activities for Junior High include Jr. High Student Council, FCA, Junior Beta Club, Junior Optimist, Chiefs for Christ, and Drama. Seventh grade students take the Stanford Achievement Test. In preparation for the ACT, eighth grade students take the Explore Standardized Test and ninth grade students take the PLAN Standardized test. MHS Junior High students score above the state and national averages on both of these tests. High School Students attend classes in the secondary building. 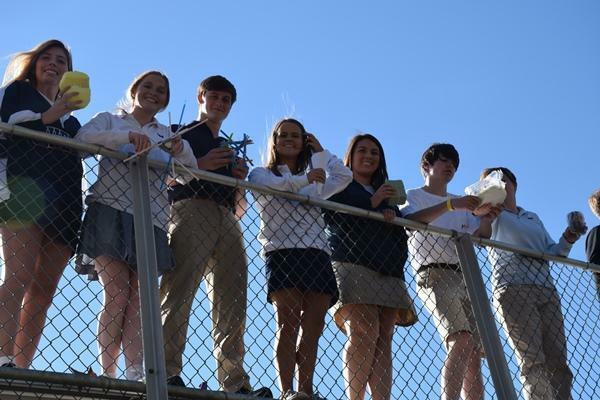 Some of the clubs and activities for high school students include FCA, Student Council, Chiefs for Christ, Yearbook and Newspaper Staff, National Honor Society, Interact Club, and Drama. In preparation for the ACT tenth grade students take the PLAN Standardized test and Juniors take the PSAT test. ACT scores are above state and national averages, with many students attaining Mississippi Eminent Scholar status with a score of 29 or better. Over the last thirty-six years, 99% of our graduates have attended college. Over the last five years, 100% of each graduating class has received scholarship offers totaling in the millions each year. Seniors meeting requirements may choose to participate in the Dual Enrollment Program through Northwest Mississippi Community College. Students receive both high school and college credits at no extra cost. Dual enrollment is offered in English Composition I & II and American History I & II. Bus service is available to DeSoto and Panola counties. ParentsWeb allows parents to access information about their student such as grades, absences, and assignments. It also allows access to the school parent directory. Yearly, in the interest of student safety, drug tests will be randomly administered to students in grades 7-12.